A recent navy post makes the incredible assertion that the Ohio-class replacement platform is an "...essential investment for our nation..."—expenditure of billions of dollars that returns a rusting radioactive steel cylinder after 42 years doesn't have the typical attributes of an investment. Moreover, after 42 years the "investment" must be sealed, buried and monitored for hundreds of years, incurring additional expenditures! Surely, this "investment" requires more justification than reasserting standard bogeymen and committing that the Ohio-class replacement team will act responsibly and hold-down expenditures1? Before incurring additional billions for more stealthiness to ensure survivability we should debate whether our future prosperity and survivability depend more on transparency than stealthiness? Includes the text of 10 U.S.C. 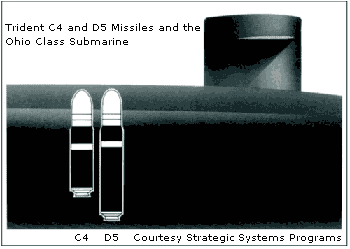 2218a, National Sea-Based Deterrence Fund (NSBDF), an off navy balance sheet appropriation and accounting gimmick to fund the SSBN(X). And unsurprisingly a significant amount of estimated cost saving assumes the creation of the NSBDF! Read these recently released defense documents as high school students would read handouts by a substitute teacher! Those familiar with previously promised targets will not recall an out of the docks or shipyard unit price of $7.2B for a Columbia platform, much less new capital costs associated with building and refurbishing new and old docks or shipyards! The previously promised price targets for both the Columbia and Virginia platforms† include anticipated savings from less overhaul, maintenance, and build times. Wonder what the "new" previously promised unit prices are after PMS 397 amortize the dock and shipyard capacity building costs over the submarine platforms? † Producing these extraordinarily complex submarine platforms has become a complex commingled mutually dependent activity. Curiously, the article announcing the navy's FY2018 budget release states that the Columbia-class program is fully funded: "...fully fund the critical Columbia-class Ballistic Missile Submarine (SSBN) program..."? The above presentation does not mention that the $49.5B proposed procurement budget includes a fully funded Columbia-class ballistic missile submarine platform program? The rear-admiral does mention National Sea-Based Deterrence Fund, which is a five-year (FY2022) off-navy-budget account to temporarily park funds for Columbia-class advance procurement and construction of: bow, Xstern, hull, missile control, joint British common missile compartment tubes, propulsion plant, propulsor prototype, weapons, weapons handling, air conditioning unit, diesel generator set, and reverse osmosis unit etc. for submarine platforms SSBN 826 (lead platform), 827, 828 and 829. It seems our navy and its boosters on the Seapower Subcommittee et al. intend to build an entire new class of submarine using an opaque off-budget National Sea-Based Deterrence Fund account? When are these accumulating costs returning to a budget? which budget? how much? The stated justification is to "improve the probability of on time delivery" of the lead Columbia-class platform! No, General John E. Hyten our nuclear weapons are not "just high explosives" they are nuclear weapons and your profession is not peace, your profession is war!!! The general fits well within our "new" alt-white-house et al. where up is down; facts are fake; chemical reaction are nuclear; peace is war...5 etc. ...and General Curtis LeMay is not a poster boy for a costly strategic triad upgrade but the need for free press oversight of our military and decreasing our obscene stockpiles of nuclear weapons (or as you prefer to call them high explosives), particularly during the period our "new" alt-white-house is governing or more accurately not governing. UPDATED 01/27/2017 PopSci, The Nuclear Arsenals of China and the U.S. UPDATED 01/19/2017 InsideDef, Navy formally announces Columbia-class milestone decision A mini-design decision, which says we kinda know what we're buying, accompanied by a [big] "ballpark" guess about its cost along with many laments over how to "find the money" to pay for their lowball guess. Here's how the submarine platform's biggest booster, Representative Courtney, (CT-02) describes it: Columbia-Class Achieves 'Milestone B' As The National Sea Based Deterrence Fund Comes Online and the hometown newspaper CTMirror, Navy moves forward on new Columbia-class submarines. Navy (N97 and PEO Submarines) presents some general expectations for the Ohio-class replacement platform. Bill Perry is being very generous when he refers to our present nuclear strategic lunacy as "belt and suspenders for the belts and suspenders". The current nuclear strategic lunacy has more to do with the past balance of petulant service chiefs than any current balance of nuclear terror, retaliatory and probability-of-kill mathematics. Let's immediately begin eliminating all ground and air based ICBMs and platforms, go slow on scaling down the Ohio-class replacement platform and get serious about the elimination of all nuclear weaponry. UPDATED 02/03/2016 Reuters, Exclusive: U.S. budget plan includes over $13 billion for new submarine - sources Hopefully, a lot more details and a lot less hyperbole will follow to inform our desire for de-extincting and bulking up these "Cold War" dinosaurs? NavSea will always be "X" number of subs below that required to conduct the nation's business. UPDATED 08/01/2015 PBSNewsHour, Can U.S. afford plan to buy 12 nuclear-armed subs? The short answer is NO! The price of navy weapons platforms (and weapons) are on a half parabolic trajectory requiring our navy to seek new and additional funding sources. Instead of addressing these stratospheric prices within its current shipbuilding budget our navy and congressional budgeteers are seeking to off-load the entire weapons platform to another funding source external to our navy's current shipbuilding plan and budget. Fortunately, those seriously seeking to control or reduce the stratospheric prices of major weapons systems view these budgetary maneuvers as transparent gimmicks. So for now, our navy must fund the long-lead research for its Ohio-class replacement submarine platform from unobligated funds within its current shipbuilding budget. Navy and congressional budgeteers and Ohio-class sponsors will treat these "unobligated funds" (now obligated to the Ohio-class replacement submarine platform) as a loan to be reimbursed by the new funding source if and when it is created by Congress. If Congress declines to create a new and additional funding source for the Ohio-class replacement our navy must charge its current shipbuilding budget—requiring it to: increase its current shipbuilding budget: or decrease the number of ships it builds; or decrease the per ship price; or more likely, some combination of all three. A quasi-base-line3 for an Ohio-class replacement platform is the easy part—finding an estimated $60 billion 2010 dollars (likely under estimated by a minimum of 40%) for 12, sixteen tube platforms will be more challenging. It's unclear how Putin's behavior as a "shirtless hooligan" over Crimea "proves" a need for a sea-based nuclear missile platform, as Military News and Open Source Naval Intelligence headline implies the rear admiral asserts? The above attribution was made at the Navy League, Sea-Air-Space 2014 Exposition, which may encourage or induce, if not explain a speaker's hyperbolic expressions? Includes reducing the number of Ohio-class replacement (aka SSBN-X) platforms to eight—hopefully, just the start of an accelerating trend toward zero nuclear warheads? It's always a little jilting to read the adverb "only" in articles discussing the number of deployed nuclear warheads. So, let's eliminate all of our nuclear warheads and not sweat the small stuff, like the unknowable optimal number of strategic platforms and warheads for a given deterrent coverage. Is the admiral really arguing that our probability of attacking Russia and China has increased as a result of their reduced number of patrols or number of strategic platforms? 1. Our capable submarine designers have made tremendous gains in basic and applied marine research; virtual design; modular manufacturing; and materials processes but a platform requirement of 42 years of continuous stealthiness must await further research. If given such a requirement there is no doubt that any Ohio-class replacement team would act responsibly and hold-down expenditures until all the money runs out or relief from the requirement is provided. The post may be emphasizing 42 years of continuous stealthiness not as a hard requirement but as awkward justification for purchasing a new platform as opposed to modifying an existing platform? 2. Our policymakers and navy leadership must jettison their harmful, obsolete and costly notion that striving to reduce or accommodate the insecurities of our putative, imaginary or real adversaries displays weakness—exploiting putative, imaginary or real weaknesses is simply a circular method that minimizes trust and cooperation while increasing costs for minimal, zero or negative gain! 3. Those familiar with major weapons system development and procurement are painfully aware that a "final baseline" does not exist. The term "final baseline" is just part of a choreographed congress-navy-contractor tragic-comedy (some might say subterfuge) used to authorize a "low-cost" (yes, $60 billion is the low cost!) weapons system while producing and delivering a "high cost" weapons system! The term "final baseline" means that the navy, contractor, and congress have agreed to pretend that the total weapons system cost will be $60 billion--nobody, but the uninitiated believes the estimate is true--yet, everybody will continue to pretend it is, until it isn't! When the weapons system "cost growth" (the term overrun will not be used) exceeds $60 billion the recriminations, joint storytelling and "improvement programs" will begin. If the overrun costs can be kept to a minimum by changing the baseline configuration or reducing the procurement quantity or both the major weapons system will proceed. If the cost overrun is excessive the major weapons system is canceled, a very undesirable outcome for the navy (loses assets); contractor (loses revenue and goodwill); congress (loses district jobs). Rarely, a major weapons system will lose its navy or congressional sponsors or both and will be canceled with or without a cost overrun. 4. Meaningful entails more than asking a SecNav or CNO or NavSea if they could use an SSBN(X); or listening to congressional committee boosters from Connecticut testify while the witnesses listen. 5. The general's misstatement about the equivalency of tactical and strategic nuclear weapons is likely for Russia's consumption? Putin is throwing a temper tantrum and using psychological warfare by deploying tactical (short-range) nuclear missile ground launchers (i.e. 9K720 Iskander), which may also launch strategic (longer range) nuclear missiles. The general is likely indicating to Putin that for purposes of retaliation he'll make no distinction between tactical and strategic nuclear missiles. China is quietly (i.e. minus the temper tantrums) using a similar tactic (FUD) when it deploys strategic nuclear missile launchers ostensibly as a conventional "aircraft carrier killer". A missile on any ballistic trajectory during conflict may trigger a nuclear response from warring warriors. Such are the dangerous and foolish physical and psychological games potential adversaries (usually putatively weaker) sometimes play, which makes a strong case for eliminating nuclear weapons.